It's refreshing to see a sane argument in an overwhelmingly insane environment, so I thought I'd share. Additional gas pipeline infrastructure in the EU is a good thing. Although additional DC grid lines would be even better. There is a growing gas infrastructure overcapacity in Europe. In 2015 the gas pipelines were operating at 60% capacity and LNG import terminals were used at 19% of their capacity. Since then new pipelines are being built (Nord Stream 2, TAP/TANAP) and additional LNG terminals are projected (Croatian Krk LNG terminal). As the capacity growth is higher than the gas demand the overcapacity will just increase and this will generate a ferocious competition between the gas providers with the less competitive infrastructures (probably the LNG terminals) ending as costly stranded assets. 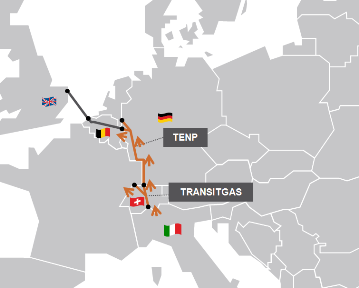 The European gas infrastructure is increasingly interconnected. Take for instance the Transitgas pipeline. This pipeline initialy buit in 1974 to provide gas from the North Sea to Switzerland was extended in 2003 to Italy through a dedicated tunnel crossing the Alps. This extension was built initially to provide North Sea gas to Italy. 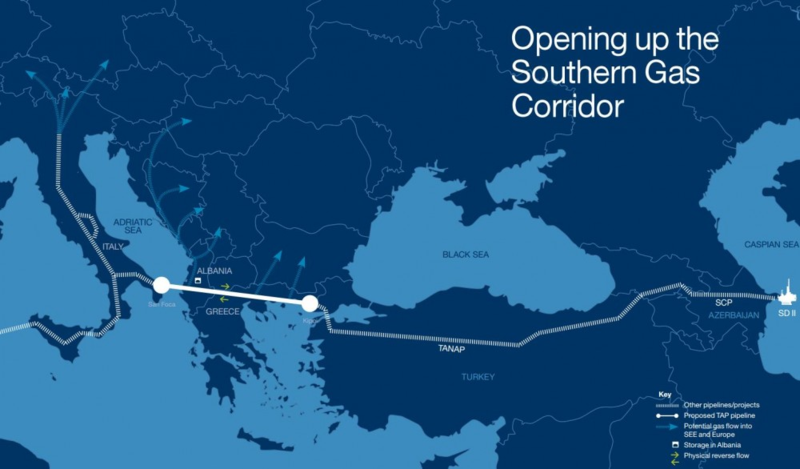 But now with the Southern Corridor pipeline (TAP/TANAP) being built to provide gas from Azerbaidjan to Italy and the fading North Sea gas reserves the continental perspective has changed. Investments have been made to transform the Transitgas pipeline in a bidirectional system and since October this year the pipeline can be operated both ways. Switching to the south-north mode could allow to provide to the Swiss, French and German markets Azerbaidjan gas from the Caspian Sea flowing through Georgia, Turkey, Greece, Albania and Italy. This will further reduce those markets dependence from Russian gas and increase competition with probably a lowering effect on gas prices. I honestly don't think I'll live to see TAP in operation. It's like that nuclear fusion reactor, almost there but not quite. They are actually not mutually exclusive. For a number of reasons. One would be I like to get the full picture of whats going on in the world, it's hard to have a balanced view just by surrounding yourself in what comforts you. And it also works the other way around, I think it dangerous for people to not see the other view point, not having their view challenged. When I see some of the things bounced a round here as facts its dam scary. When we reach peak oil demand it's going to change the world in so many ways and we are frankly totally unprepared. I also find it interesting in a more psychological way seeing how people react in a changing world that seems to scare them so much they completely ignore a massive part of reality. Also I had a hole in my foot which has taken sometime to heal so had time on my hands, don't worry it's getting better so will be spending less time here. no but that spare capital would be better invested in electricity, that's where the futures at. According to the consortium in charge of building the TAP, around 82% of the pipeline has been completed so far and it is expected to start operations in 2020. The 878km project has 550km in Greece, 215km in Albania, 105km under the Adriatic Sea and just 8km in Italy. But as an Italian I'm well aware infrastructure projects in Italy end up usually costing and lasting way more than initially planed. So the short Italian part of the project could be the more difficult to build. Fair enough. Nothing wrong with any of that. I remember the foot problem now, back when you first dipped your toe in around here, if you'll pardon the pun. And arguably you have had a positive effect bringing issues and perspectives we were not getting prior. Cheers! @Guillaume Albasini, it's not just in Italy that this happens, believe me. Good to hear so much progress has been made, though.